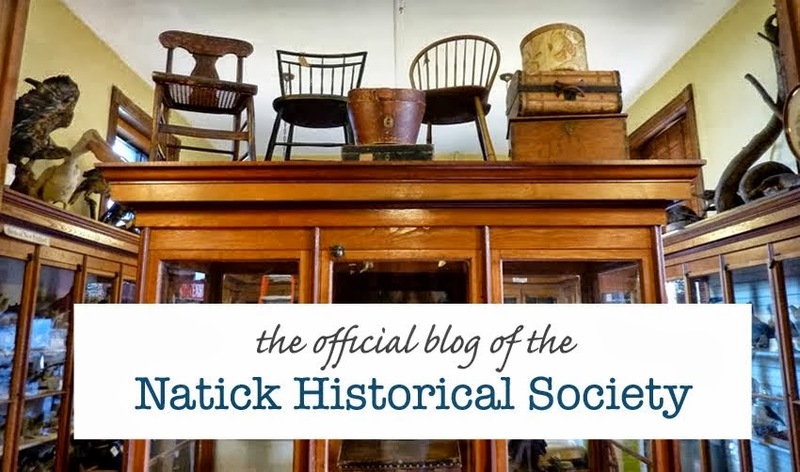 As the weather starts to get warmer and spring begins to unfold it’s time once again for the Natick Historical Society to host school trips from just about every public school in Natick. These young museum visitors keep us quite busy and can certainly be quite exciting. Having so many school groups come to visit is a nice reminder of all the great resources we have here in our archives related to schools, education and past classes of Natick students. 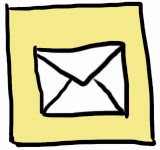 We have a large collection of materials related to education, including graduation programs, schedules of course and classes photos from various points in Natick’s past. One of the biggest and most useful collections in our archives is our collection Natick High School Yearbooks. 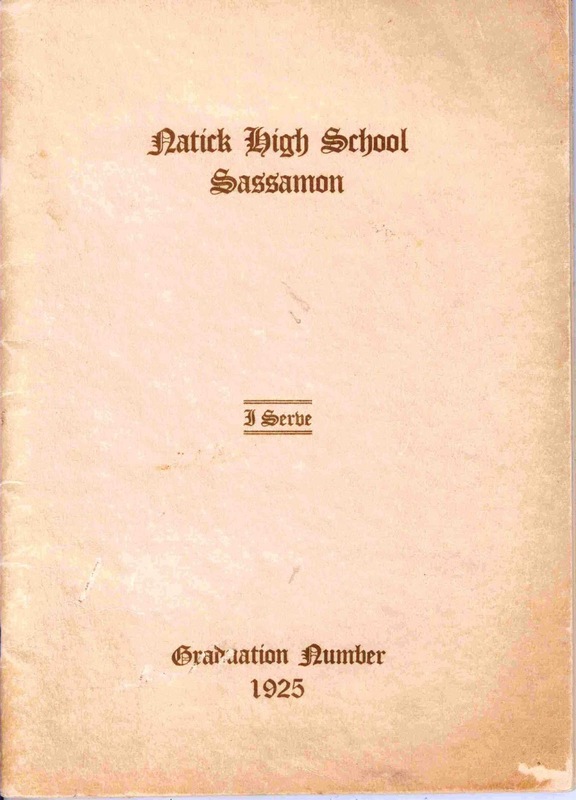 Originally called “the Sassamon”, the Natick High School Yearbook has been published for over a hundred years by the Natick High School and serves as an invaluable resource for anyone visiting our archives to learn more about genealogy or their family’s history in Natick. Our earliest Sassamon is from the class of 1925 and it’s amazing to see how much the yearbook and Natick have changed since then. 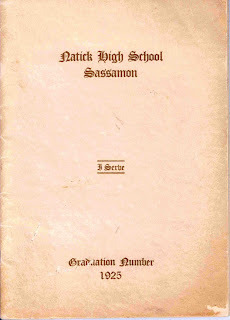 The 1925 Natick High School Sassamon was published in paperback and contains just over a hundred students, none of whom have pictures to accompany their entry in the yearbook. Instead, there are a pair of class portraits in the center of the book where most of the graduating seniors are pictured. For contrast, the most recently acquired yearbook in our collection, from 2014, was published in full color and contains over 330 students. Looking at the survey of these books it’s easy to see the many different ways Natick has changed over just a short period of time. Changes in fashion and growing populations are all readily apparent when one looks through a few years’ worth of Natick High yearbooks. The style changes overtime have produced some really memorable fashion choices! It’s possible to even find a few recognizable faces when flipping through the old copies of our copies of the Natick yearbook. 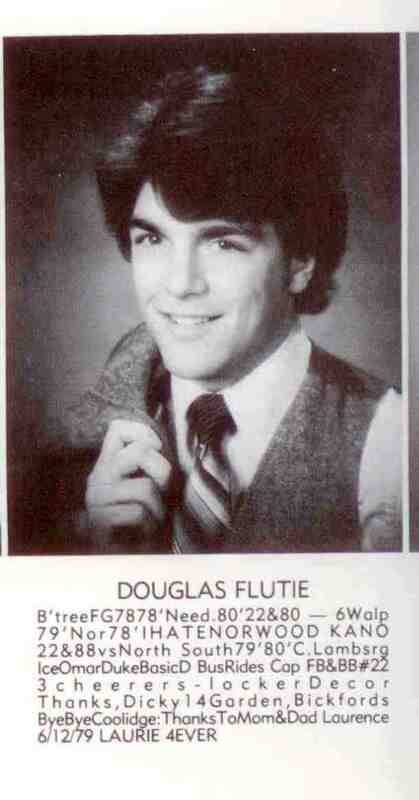 Perhaps the person most famous we’ve noticed recently in our yearbook collection is famous quarterback and recent Dancing with the Stars contestant Doug Flutie. 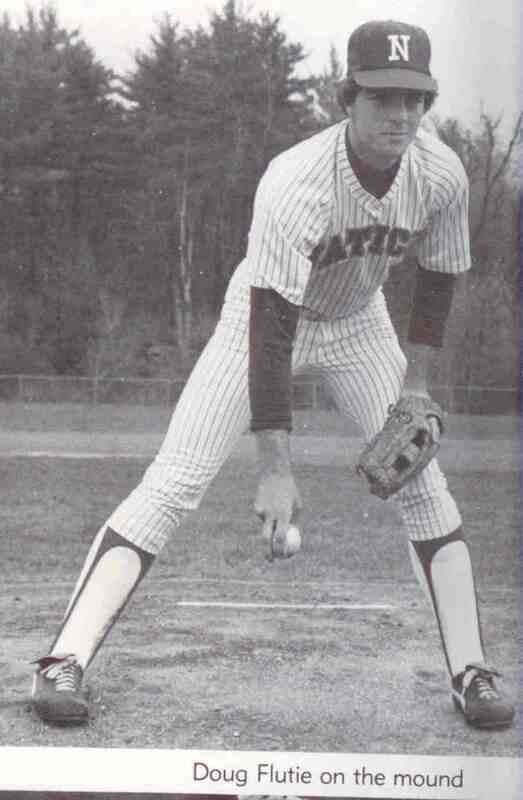 Flutie graduated from Natick High School in 1981 and already seemed to have started quite an impressive athletic career. He played both football and baseball and is mentioned in the class history for having been elected to the High School Hall of Fame for his athletic achievements. Though our collection only dates back to 1925 there are other places to see Natick High School Yearbooks going back even further. The Morse Institute Library has digital copies of many of the Natick Sassamons going as far back as the year 1916 that are available to be viewed online here: https://archive.org/search.php?query=subject%3A%22Natick+High+School+(Natick%2C+Mass.)--Students--Yearbooks%22. We are always looking to expand our collection to be better able to tell the history of Natick, and filling in some of the gaps in our yearbook collection would be a great way of doing this. Currently we are only missing twelve copies of the Natick High School yearbook and would be happy to receive any of them. If someone was looking to donate their old yearbook from 1928, 1929, 1930, 1931, 1937, 1939, 1996, 1998, 2003, 2004, 2013 or 2015 we would be very grateful!